Fifteen mentees will this year again benefit from the experience of some of PR's most senior female practitioners as part of the PRWeek and Women in PR Mentoring Project, reports John Harrington. 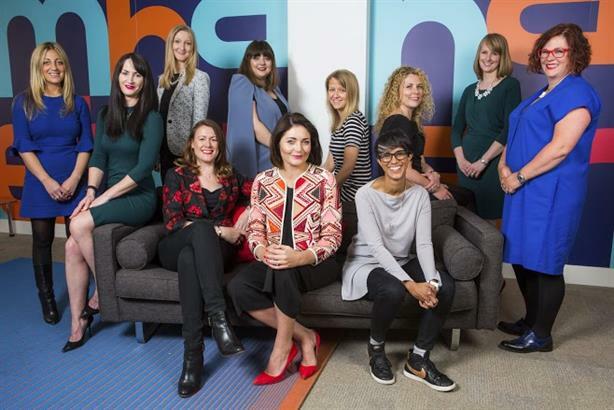 PRWeek and Women in PR (WIPR) have once again joined forces to relaunch the Mentoring Project, which is designed to encourage more female leaders in the PR industry. Fifteen mentees have each been matched with a mentor – an experienced female PR professional – who will offer guidance through face-to-face meetings and other forms of contact over the coming year. It follows an application process conducted via PRWeek online. Mentors were matched with mentees to give the maximum benefit to the mentee, based on their current position. This is the third year that PRWeek has run the Mentoring Project, and the second in conjunction with WIPR. PRWeek spoke to some of the mentors and mentees from the previous 2015/2016 session to hear about their experiences of the scheme. For Suzanne Surridge, a director at Cirkle, her time as mentee coincided with a new role – and a new baby. With so much change, Surridge was thankful for the benefits of working with her mentor, consultant Sally Costerton. "The scheme has been an invaluable opportunity for me, with access to Sally’s incredible experience by giving up her time to help me," says Surridge. "I’ve acted on her insightful suggestions with great results and I also have pages of notes that I can refer back to for years to come." Costerton adds: "I have thoroughly enjoyed working with Suzanne as she took on a new role and a new baby. She’s a great mentee – open and keen to develop herself. She’s a great talent and I hope we stay in touch." Jen Patterson, European PR manager at electronics firm Premier Farnell, was mentored by O2 director of comms and reputation Nicola Green as part of the Mentoring Project. Patterson says: "For me, having a mentor in a senior comms position in a similar corporate environment gave me great perspective and insight that supported me through a challenging year, both personally and professionally." For Green, the benefits work both ways. "Don't underestimate the value you can get back from your mentee," she says. "Mentoring is a two way process which can prove valuable for both people." Stay tuned to PRWeek over the coming months for first-hand insights into the scheme from our mentors and mentees.